This Sunday, August 4th, there will be a live web video event on the Niconico site. 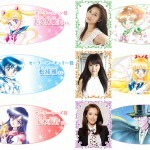 This was announced on the official Sailor Moon site. This event is going to be similar to last year’s event where the anime was first announced. 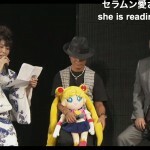 They will be discussing the new Sailor Moon anime, the upcoming musical and other new merchandise. The update on the musical will include a performance by the cast. We’re certainly hoping to get some concrete information about the new anime since very little has been officially announced since last year’s event. The event will occur at 5pm local time in Japan which is 4am Sunday morning here in Norther America’s Easter Standard Time zone. If you are interested in following the show live I would suggest heading over to the Miss Dream web site. 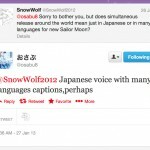 They will have a live stream of the show with live translations over twitter. In addition once complete they plan on subbing it for all to enjoy. It was following Miss Dream’s twitter account that I first learned about the new anime moments after it had been announced last year. We’ll be sure to update this site with any relevant information as it comes in. Posting on the site might not be my top priority at 4 or 5 in the morning on a Sunday but I will strive to share information as it is relevant and urgent as time permits. Keep an eye on our Twitter and Facebook pages for information that’s breaking and not yet posted to the blog. At the very least I will be retweeting and posting short updates about anything important on those social media sites. As always we encourage our readers to join the conversation on those pages. 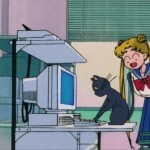 Welcome to Sailor Moon News! This entry was posted in Merchandise, Pretty Guardian Sailor Moon Crystal (2014), Sailor Moon Musicals and tagged 20th Anniversary, La Reconquista by Adam. Bookmark the permalink. 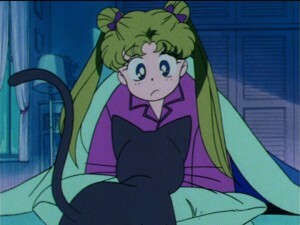 Even though Luna had emphasised that you were indeed the chosen one right from the beginning, it still felt as if she might have picked the wrong person. 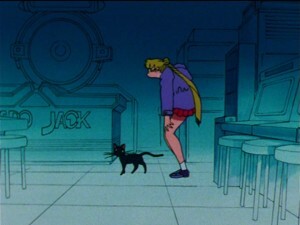 Of course, over time you had shown us just how brave and capable you could be as Sailor Moon.